News by Matt S. and Moshe R.
Bandai Namco took its time – 23 years, give or take – but it appears the wait is over and Tekken is finally going to make its way into our mobile devices. The upcoming iOS/Android game looks like it is going to be its own standalone experience, as opposed to a port of a game we’ve already experiences. Details are still murky, but Bandai Namco has implied we would be able to gather over 100 characters in the game, with the teaser exposing some very familiar faces. Not only that, we would be able to upgrade our characters as we play them through a map based story mode, online matches against friends (and enemies? ), and a Dojo mode where we will be able to personalise a guardian to defend our Tekken home from online attackers. At this stage there is no release date for Tekken Mobile, but you can pre-register your interest at the game's web page. Canadian users can rejoice, though: the game appears to have been launched softly at your country of residence. Lucky Canadians also enjoy the privilege of being able to make what appears to be in-app purchases for in game currency, hinting at the monetisation model Tekken will employ. 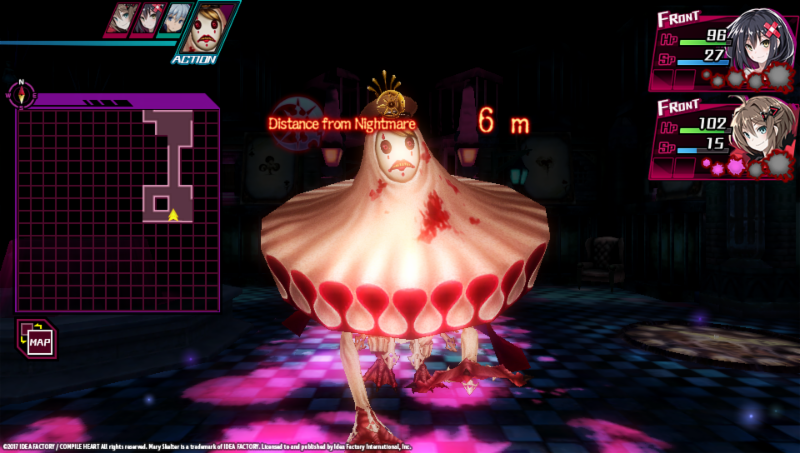 Idea Factory’s dark dungeon crawler, Mary Skelter, bills itself as a game with a “turn-based battle system, class changes, a blood-licking transform system” and one where the goal is to “solve the dungeon’s mysteries and satisfy the prison’s desire. You just might make it out alive!” Dark, no? Well, Idea Factory has released some new screenshots and character descriptions, and it really does look superb. The game stars a boy named Jack, who uses a tool called a “Mary Gun” and special blood to control the characters in his party that would otherwise go berserk in combat. Two of his key allies are Alice – a young Blood Maiden that was pulled into the dungeon at the same time as Jack – and Red Riding Hood, a veteran that acts as a mentor. As the names suggest, this one looks like it’s going to have a strong Grimm Brothers fairy tale vibe, and that in itself is exciting. We do like a good Grimm Brothers story. The game releases on September 19 in North America and September 22 in Europe, exclusively for PlayStation Vita (for now...). In early 2018, Koei Tecmo will release a sequel to its quite excellent Attack on Titan from last year. 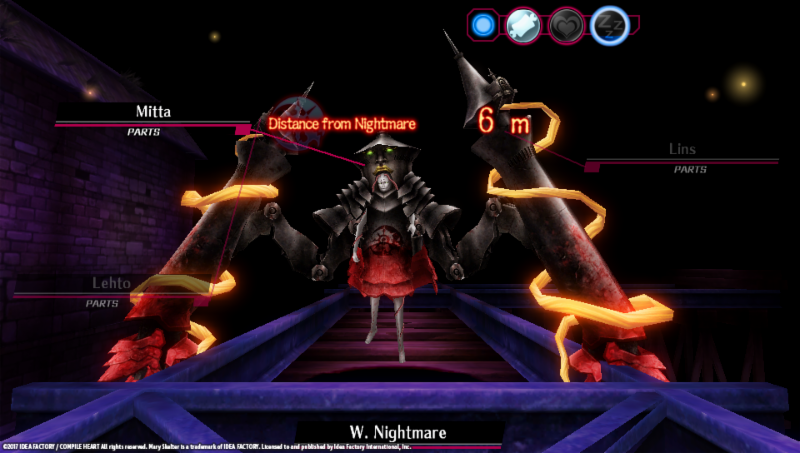 The original game, developed by Omega Force, managed to take some of the design elements of the Warriors (Musou) games and apply them to the visceral battles between humans and the titanic monsters from the incredibly popular anime. We have next to no details about the game at this stage, but we did get a super-brief little teaser trailer, rendered with the in-game graphics. It looks really good; it’s hard to tell given the construction of the trailer, of course, but it does seem like there’s a significant uplift in the quality of the aesthetics in the game, and the original already looked pretty damned good. What the original Attack on Titan game did so well was recapturing the excitement of flying around using those hooks and ropes that the humans use to get height and mobility against their enemies, and then using those to try and move around the infinitely more powerful titans to strike at their one weak spot; the back of the neck. If this sequel is able to give us more of that – and we’re sure it will – then it’s going to be essential. Surprise! The developers of Shenmue 3 release a trailer for the hotly anticipated game, and because it hasn’t been designed to look as hyper-real as Uncharted or Horizon or whatever other “AAA” blockbuster game you can think of, the “fans” are losing it. Shenmue 3 is daring to have a stylistic direction that features plastic-looking characters that are a homage to the previous two games, and as we all know in video games, being daring is never a good idea from a PR perspective. Frankly, the game – and the characters – is looking gorgeous, and for the same reason that a Pablo Picasso painting is a better work of art than that really nice, and very realistic painting print of a river that you’ve got hanging in your toilet room; this is different. It’s creative. It’s stylistic. Coupled with the highly detailed backgrounds, the character art is very theatrical and abstract. It looks elegant and poetic. I’m a fan. Of course, Shenmue is all about the narrative, and from a voice-less trailer of less than two minutes, it’s hard to get a sense of just where that most critical element is going. Hopefully those people having a meltdown because the developers didn’t specifically consult with them to get their expert opinion on what makes “good graphics” are going to be able to get over this and still give the game a chance. I’m betting it’s going to be something special.